GCI maintains an archive of all published research. Publicly available documents are hosted online here. 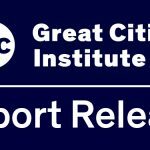 For other GCI research, please send a request to gcities@uic.edu or contact the office. Nik Theodore has released a new report that examines the employment conditions of informally employed construction workers in Houston, following the aftermath of Hurricane Harvey. This report, which was commissioned by Metropolitan Family Services to further its delivery of social services, presents demographic characteristics of Latinos in Chicago and examines the neighborhoods with a majority Latino population.